This is my first time posting an outfit! Though I have been on the site for a while, I have only recently started posting things. 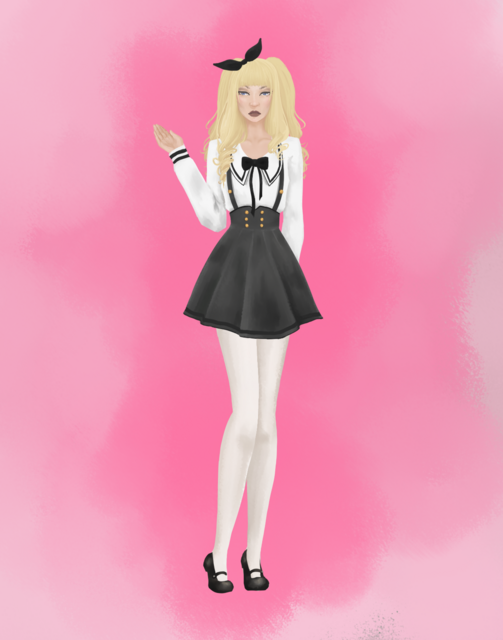 This outfit was heavily inspired by Japanese Lollita fashion and everything, from the face to the shoes, was designed by me! I love this and wanted to buy it but it wasn't for sale! Well done Starloft! Wowza I love this and want it all! Thank you mykelbe and BBates!! Thank you ArtisticBiscuit! I hope to do more! I agree with everyones comments. Hope to see more fashions from you. This absolutely amazing and beautiful.